Okay. I’ve got a 3000 word draft in the bomb-bay, so I thought while I’m waiting for editorial decisions, I thought I’d post a picture on the same topic, that being my recent trip to Melbourne. 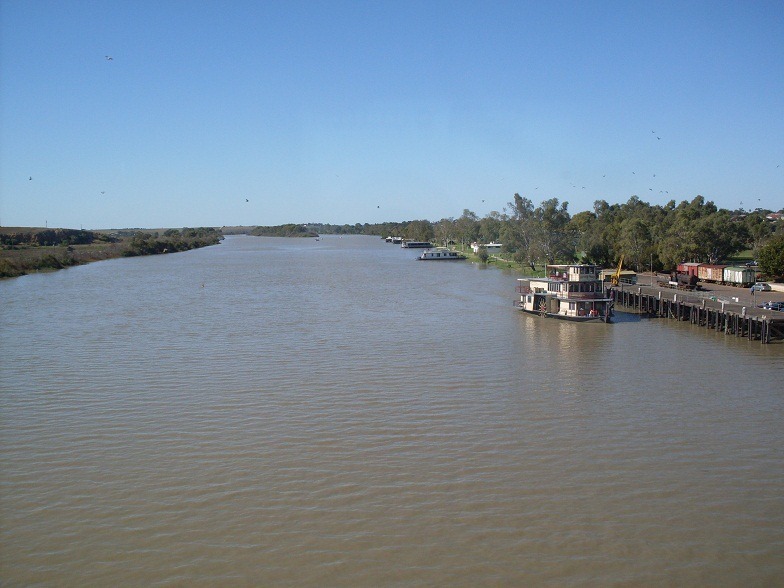 This is from my crossing of the Murray River, at the aptly named Murray Bridge, in South Australia. The birds you can see are pigeons (introduced) wheeling around the bridge, while below, there’s an old paddle steamer. I’ve never been on one, so I can’t comment on what it’s like, but maybe I should give it a try – a paddle steamer that is, not a pigeon (which I haven’t been on either, incidentally). The photo is taken looking downstream.